The adoption rate of iOS 12 is outpacing years past as most Apple devices now run the latest version. A new report tracked the install base of iOS 12 and found roughly 47.6% of users have already updated to it. In comparison, it estimates that 45.6% of users are on iOS 11, and a mere 6.9% of devices run an older version. Adoption rate is a key metric for app developers to determine how soon to move to new frameworks and when to drop support for old iOS versions. Last year, it wasn’t until early November that Apple announced iOS 11 had become more popular than iOS 10. That means users this year are upgrading to iOS 12 faster, which makes sense as the update is focused on improving performance of older devices. Apple is currently beta testing iOS 12.1 for a November release. Meanwhile, a smaller iOS 12.0.1 update is now available to address the charging and WiFi issues on the iPhone XS. After weeks of leaks that included an unboxing, Google has now officially revealed the Pixel 3 and Pixel 3 XL. The Pixel 3 comes with a 5.5-inch display and starts at $799, while the XL version sports a 6.3-inch display and is priced at $899 (both provide 64GB and 128GB storage options). But rather than hardware specs, it’s actually Google’s artificial intelligence software and features that has the mobile industry excited. From the camera and Google Lens to messages and Google Assistant — the company has baked AI into nearly every function on this smartphone. Google has even introduced a feature that allows Assistant to respond on behalf of the user while the device is charging. The Pixel 3 and Pixel 3 XL will arrive in the U.S. on October 18th. Google wasn’t the only smartphone manufacturer to have its big hardware reveal spoiled by leaks. Razer felt the same pain after its new Razer Phone 2 was accidentally listed on Amazon this week before the official announcement. The new device comes equipped with a light-up rear logo that is RGB customizable, as well as wireless charging and water resistance. But the key selling point is the 120Hz for smoother scrolling and gaming — something only Razer has ever delivered on a smartphone. The device will cost $799 and pre-orders are now open. 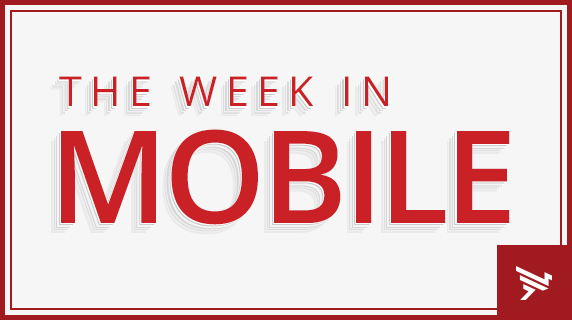 However, smartphone news this week doesn’t end with the Razer Phone 2. According to a new report, Essential Products is now working on a new device that uses AI to mimic the user and respond to messages (after scrapping plans to make a second Essential Phone). Meanwhile, another report claims that Samsung is again delaying plans for a foldable Galaxy smartphone. The company initially publicized it would reveal the device at this year’s developer conference in November, but it now looks like the smartphone with be pushed back until at least 2019. Facebook has debuted its answer for Amazon’s Echo Show: a smart display called Portal that focuses on video chat. The new device comes in standard and plus versions, and marks the first hardware product sold under the Facebook brand. Portal is designed to simplify video chat by providing a wide-angle camera alongside smart features such as tracking and zoom to create a more natural experience. Facebook hopes the device will feel more comfortable for users than holding a smartphone up to their face. The launch of Portal comes at a troubling time for the company, as recent security breaches and data misuse earlier this year may give consumers some pause on placing Facebook-connected hardware in their homes. Still, Facebook is pushing forward with its smart display and voice functionality initiatives. The social media giant is now also internally testing a new Facebook Messenger capability that would allow users to dictate messages and start calls using voice commands. In addition to the AI goodies Google debuted alongside the launch of the Pixel 3, the company is also putting more emphasis on augmented reality. Google has renamed AR Stickers to Playground and introduced new stickers from the Marvel universe — as well as virtual Donald “Childish Gambino” Glover dance moves — to Pixel devices. The company showcased how a virtual Iron Man and Hulk can interact with each other on screen, and also demonstrated the realism of superhero selfies. The app is built into the Pixel 3 camera, and more sticker packs will become available in the future. Instagram has introduced a new AI technology to its platform capable of detecting online bullying in photos. As part of several new cyber-bullying features, the photo-sharing service will now use machine learning to scan posted images and flag instances of bullying to community moderators. While Instagram had previously introduced a text filter for bullying in May, the platform found that trolls could still attack users through images. The new machine learning algorithm can identify bullying based on insults to a person’s character, appearance, well-being, or health. The new features are slated to roll out to users everyone over the next couple weeks.